Google released Android Wear 2.0 in February this year. 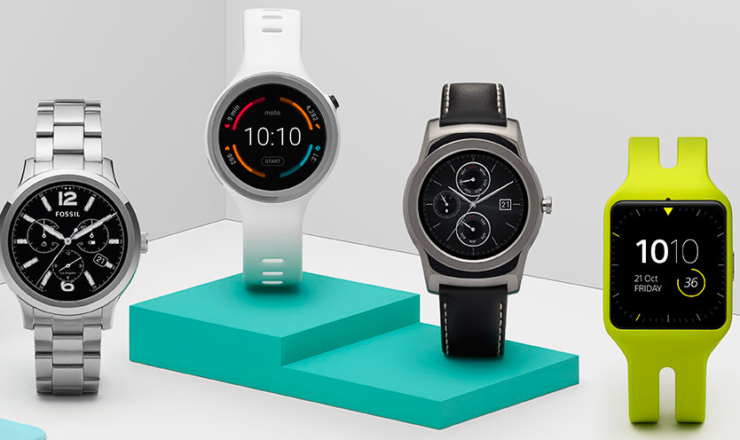 With this update, Google introduced a plethora of new features for their OS on smartwatches. Some of the notable features in Android Wear 2.0 were on-watch Play Store, and watch face complications, and Android Pay (for NFC-enabled watches). It’s been two months since the update has gone official, but there are still many smartwatches that have not got the OTA update yet. You can try installing the update manually with the help of ADB (Android Debug Bridge) tools. Before we start with the step-by-step guide, we would like to clarify that if your watch is not compatible with a computer or direct USB connection, then this guide won’t work for it. You will have to wait for an OTA update. Even Bluetooth Debugging won’t work for manual installation. You need direct USB compatibility in your Android Wear smartwatch. Also, watches that are confirmed to get Android Wear 2.0 OTA update can’t be manually updated via ADB. These Android Wear smartwatches are – Moto 360 2nd gen., Moto 360 Sport, Fossil Q Wander, Fossil Q Marshal, Fossil Q Founder, Casio Smart Outdoor, Casio Pro Trek, Michael Kors, ASUS ZenWatch 2, and ASUS ZenWatch 3. First off, you need to install ADB (Android Debug Bridge) tools on your computer. To install, you need to go to Google’s website and download the SDK Platform Tools according to the OS of your computer – Windows, Mac, or Linux. If your watch has direct USB compatibility with a computer then just connect it. Now, allow the notification which asks for computer permission to use ADB debugging. Unlock your smartphone that is connected to the watch and enable “Always allow from this computer” and now select “OK” to initiate ADB debugging between your watch and computer. For Windows computer users, you need to install the drivers for Android Wear, which is not an easy process as these drivers are not yet available for many devices. Here is a detailed post on Stack Overflow that will help you in getting a solution for your Windows OS version. This step involves downloading of Android Wear 2.0 OTA files for your device. Unfortunately, most of the current smartwatches are incompatible with ADB sideload. Here are the direct links for the ADB compatible watches lifted from Google. Download the files according to your device name. The above-given process puts your watch in sideload mode. Now, type “adb sideload” into your command prompt on the computer and do not run it. Now drag “OTA zip” file to the terminal. This will automatically paste OTA file’s location in your file directory. Now, run the “adb sideload” command, and you will see that your device has started updating. After the update completes, your device should reboot automatically. Now check About section in the settings of your watch to see if it has changed to Android Wear 2.0.